NeonTwist Films is your one-stop shop for producing creative and compelling promotional, corporate, and event based videos. Our award-winning filmmakers will work in collaboration with you and your budget to create stunning screen content that is customised to your needs or brand. We are a Sydney based production company of experienced and award winning filmmakers. We are passionate about creating compelling and engaging content for our clients and bring over a decade of experience with us. We have created award winning screen work that has been distributed internationally and screened at over 180 Festivals across Australia and the world. Our clients include Channel 7, The University of Sydney, the Media Entertainment and Arts Alliance and The University of Technology. 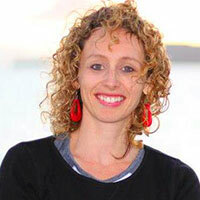 Tonnette is a Sydney based writer, director.She is a graduate of the Australian Film Television and Radio School(AFTRS), the Victorian College of the Arts(VCA) and the University of Technology Sydney(UTS). Her films have won numerous awards and have screened at over 190 festivals internationally and nationally, including Oscar recognised festivals. Zayn is a graduate of the Victorian College of the Arts ' School of Film and Television and has worked broadly with broadcast, educational and corporate clients for the last 15 years. 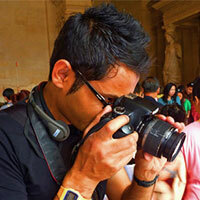 He brings with him a background in editing, visual effects, colour grading and web technologies. He has a passion for producing stunning screen content for his clients and has extensive creative and technical skills. Do you want a video that works and stands out?